The Freight Transport Association (FTA) is calling on the Scottish government to re-examine its plans for the introduction of new low emission zones (LEZ) across the nation's cities in the near future, arguing the current lead-in time of just two years is too short. Delivering improved air quality and lower emissions for Scotland's transport sector is a key aim of the Scottish government for the coming years, but the FTA has argued the latest proposals are simply too ambitious in terms of the level of change that is to be implemented and the timeframe in which it is expected. 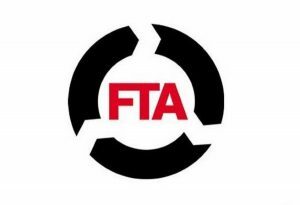 FTA head of urban logistics policy Christopher Snelling stated: "The biggest concern in these proposals is the potential timescale for implementation. "The document correctly notes that 'it is vital to the potential success of an LEZ that affected vehicle owners and operators are given sufficient notice to ensure compliance before the LEZ is established'. "However, the document then states that the notice period should be a maximum of two years – compared to the total seven years' notice that will have passed by the time London's Euro VI LEZ comes into force." He made his comments in response to the publication of the new Low Emission Strategy for Scotland, which was released on Friday (January 16th). FTA is now seeking to start a fresh dialogue with the Scottish government regarding its future LEZ plans, with the aim of ensuring the voice of the logistics industry is listened to when it comes to the creation of a realistic and achievable timeframe.